Taylor Swift looks TOTALLY unrecognisable in her latest snap. And, well, WOW! 5. Taylor Swift looks TOTALLY unrecognisable in her latest snap. And, well, WOW! 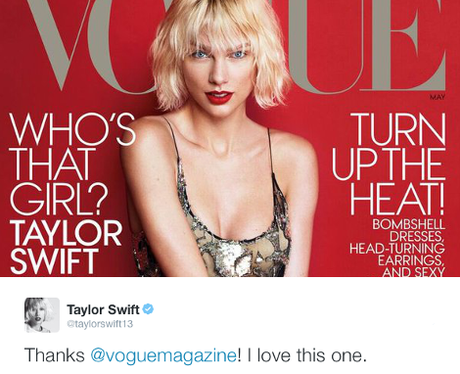 Tay Tay tweeted a shot of her 'Vogue' cover, and we're all in agreement... It was nice knowing you Retweet Button, but we're pretty much going to click the heck outta ya!